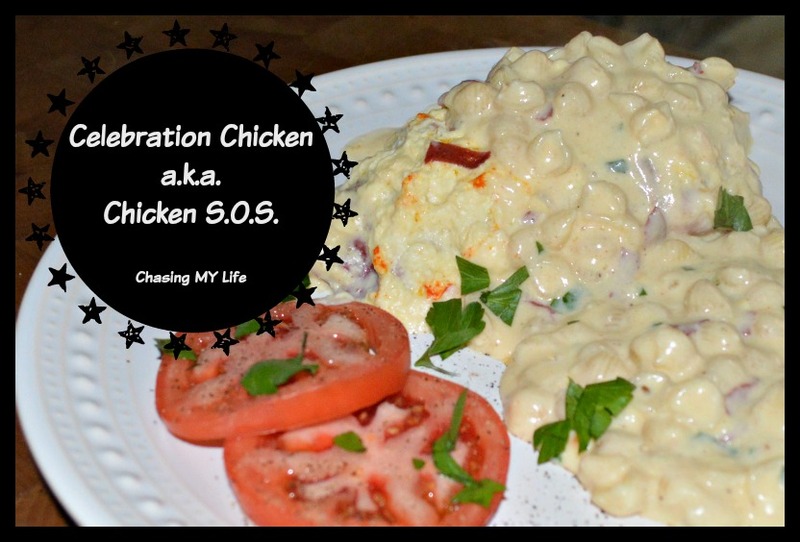 CELEBRATION CHICKEN an OLD family favorite A.K.A. as Chicken S.O.S. I believe this wonderful recipe came from the 1950’s or 1960’s, but the chicken scratch writing of my grandmother with all her changes and then mine too make it a bit hard to tell. I think this recipe probably came as a promotional recipe on a soup can, box of Philly cheese or even the jar of beef, but who really knows? This is a wonderful recipe for a large family gathering or having company. It looks and tastes like you worked all day! Hubby calls it Chicken S.O.S. I add small pasta shells and toss those with the excess sauce. The chicken turns out so tender and juicy you could cut it with a fork and it will melt in your mouth. The pasta work well for a pot luck dish, but the chicken is also tasty with mashed potatoes for a home meal. Spray 9×13 baking dish with non-stick spray. Wrap a slice of bacon around each chicken breast and place on top of beef in a single layer. In a medium saucepan combine the cream cheese, soup and sour cream stirring until smooth and heated through. DO NOT BOIL – will burn easily! Spoon some of the soup mixture over each piece of chicken as you serve it. COOK’S NOTE 1: *When cooking for just the 2 of us I have much more dried beef than I need so I layer it on the bottom as well as use it on the chicken and then chop the last 2 pieces to add on top of the sauce – YUMMY! 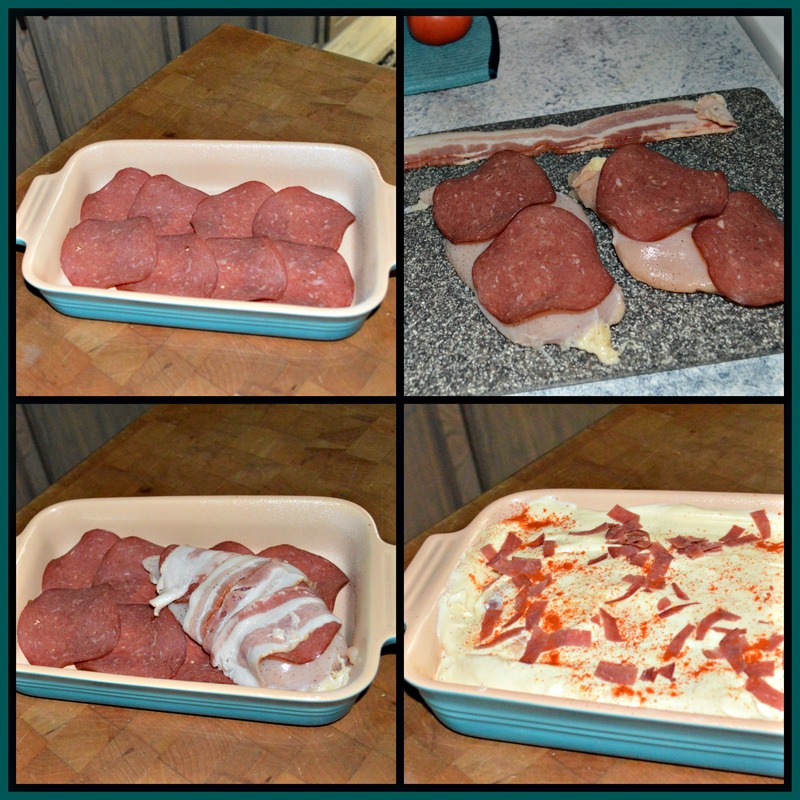 COOK’S NOTE 2: **An alternative method is to wrap each chicken breast with the beef and then the bacon. COOK’S NOTE 3: This recipe works well in the slow cooker on low also making it good for church suppers or potlucks.